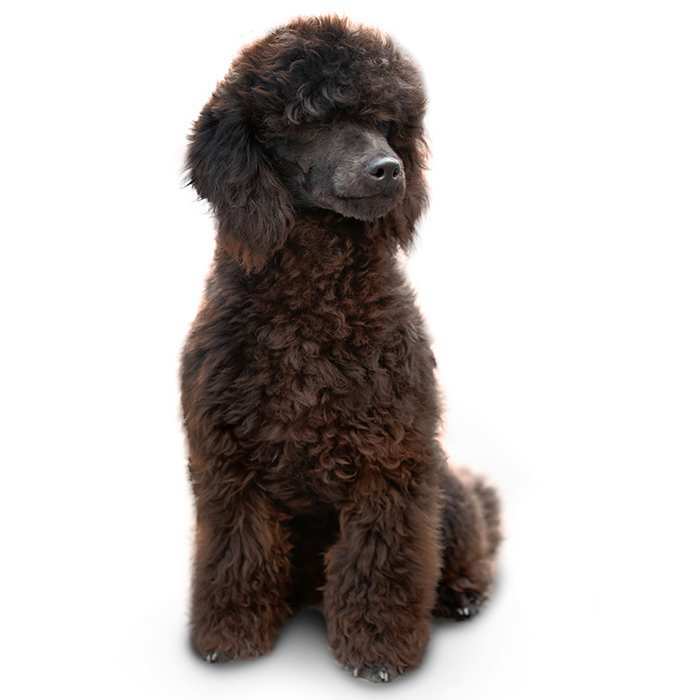 Miniature Poodles and Poodles in general are hypoallergenic so they are recommended for people who have allergies. While they do not shed, their coats do require professional grooming to ensure that they look their best. Their coat needs to be clipped about every 6 to 8 weeks as well as regular brushing in between clips. 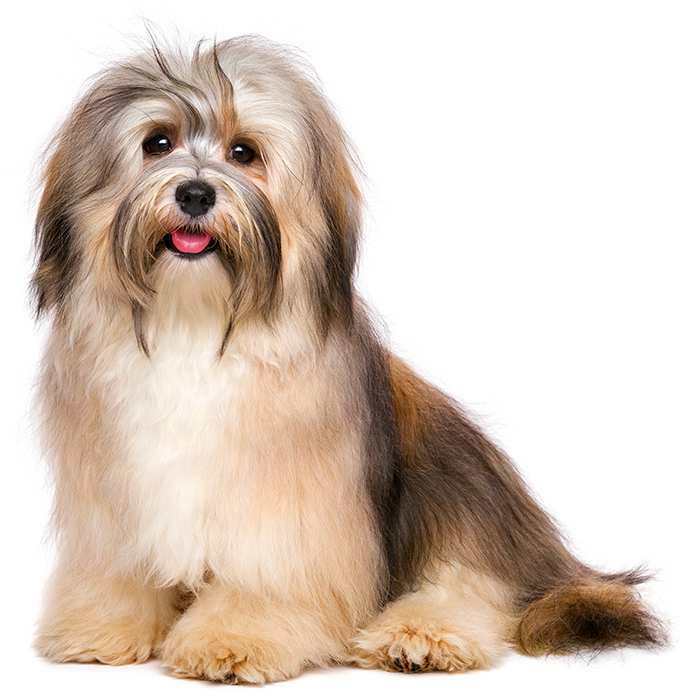 This lovely breed comes in a variety of colours including blue, grey, brown, apricot, silver, and cream. Both female and male Miniature Poodles grow to between 28 cm and 38 cm tall. 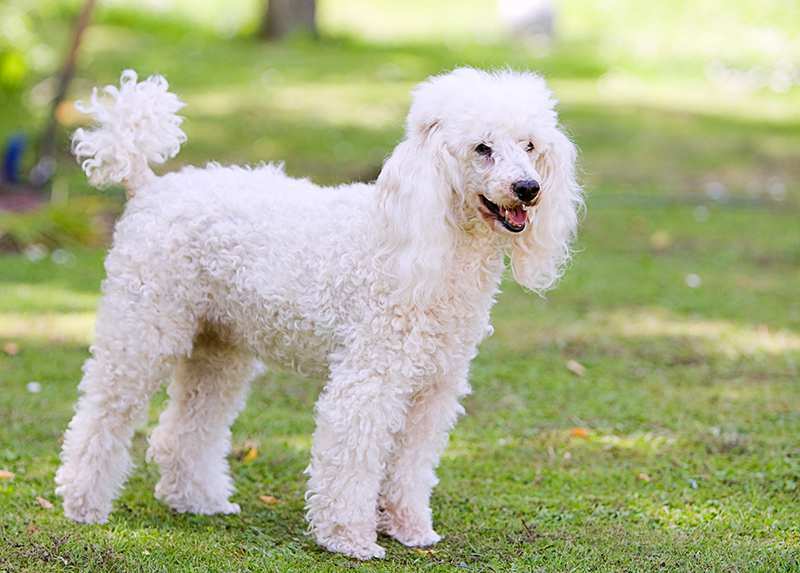 Miniature Poodles tend to weigh no more than 14 kg and the general life expectancy of this breed is approximately 15 years. Miniature Poodles have a lot of energy, so they require constant walks and mental stimulation. This breed also gets along perfectly with other animals and children if they are raised together and introduced in a proper way. 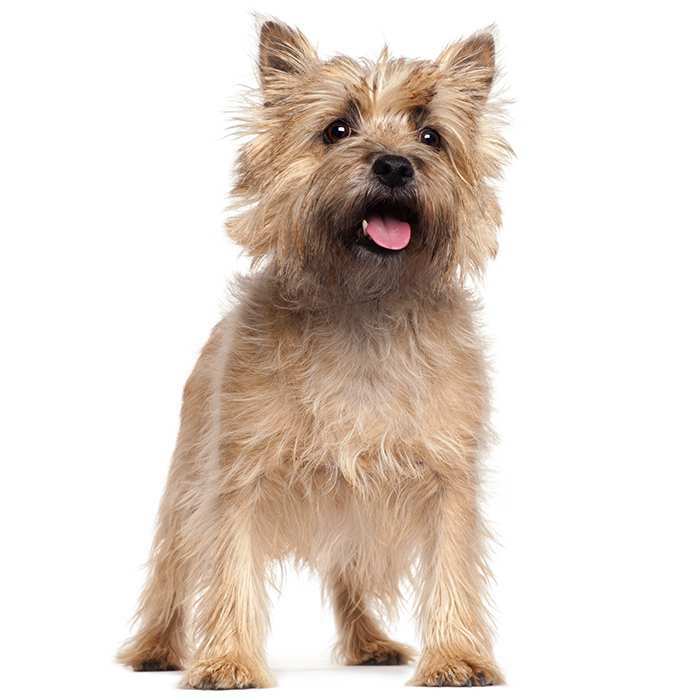 This breed has a loving, caring, kind, and intelligent personality. Miniature Poodles get along with small children, other pets, and adults, but remember they are still delicate so younger children should be supervised when around the dog. They love to feel like a part of the family, but can become dominant if they are not trained to understand their place. Miniature Poodles are very smart, so training them is easy. They are quick learners and don’t forget easily. They require regular walks and room to stretch their legs and love to be part of the action. This breed is very adventurous with a low level of aggression, so they are perfect to take everywhere.  What are the most common health issues for Miniature Poodles? Legg-Calve-Perthes disease. 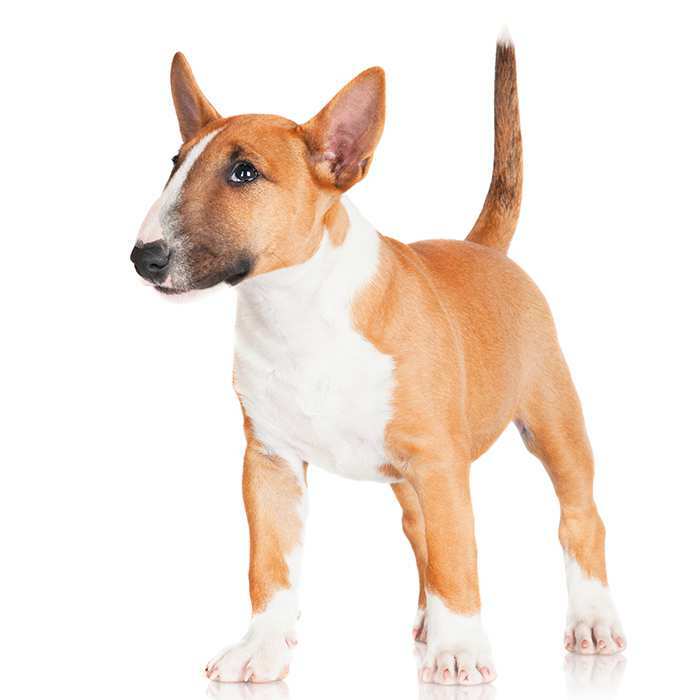 The condition is common amongst toy breeds and occurs when blood supply to the hip area is decreased.  Symptoms can include limping or staggering.If you suspect your Miniature Poodle is suffering this condition, make an appointment to see your vet. The condition can usually be corrected with simple surgery. Epilepsy. 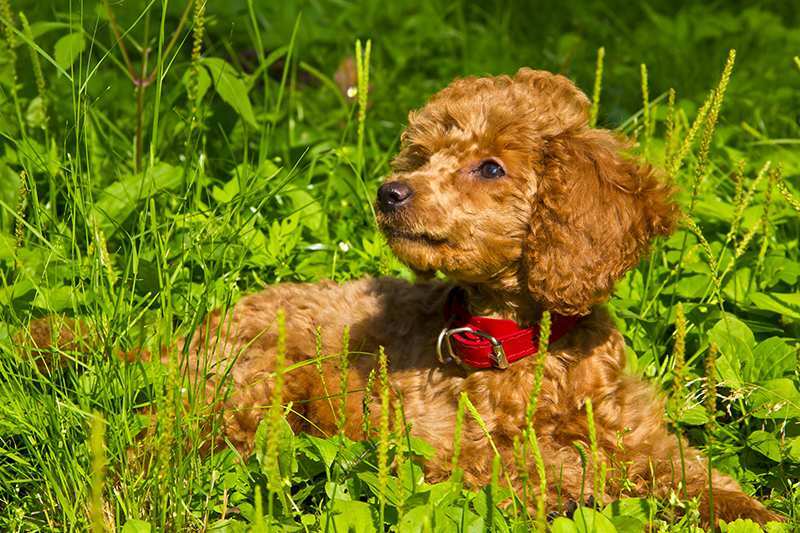 Miniature Poodles may be prone to idiopathic epilepsy, which are seizures with no known cause. There is treatment available for Poodles suffering epilepsy. Cataracts. Like in humans, canine cataracts refer to a cloudy membrane forming over they eye causing vision impairment. They can be removed surgically. Progressive retinal atrophy (PRA). Progressive retinal atrophy refers to a family of eye conditions that cause the retina’s gradual deterioration. Night vision is lost in the early stages of the disease, and day vision fades as the disease progresses. Many dogs adapt to the loss of vision well, as long as their environment stays the same. Von Willebrand’s disease causes clotting problems in the blood, which can cause excessive loss of blood after a cut, surgery or trauma and can result in a number of serious health issues. It’s recommended that you take your dog for regular vet check-ups because symptoms are hard to notice. It has been reported that the Poodle’s ancestors came from central Asia. They also have a history in France and Russia. But, the Poodle of today is thought to have been bred from a line of German rough coated water dogs. In fact, the German word for a water puddle or one who plays in water is ‘pudel’. Miniature Poodles were bred as a smaller version of the Standard Poodle by breeding smaller sized poodles with each other. One of the reasons for this was that the smaller dogs were easier to care for. In the 18th Century smaller poodles also became popular with royalty. In the past, Miniature Poodles were also used as circus dogs because they were smart and easy to train. 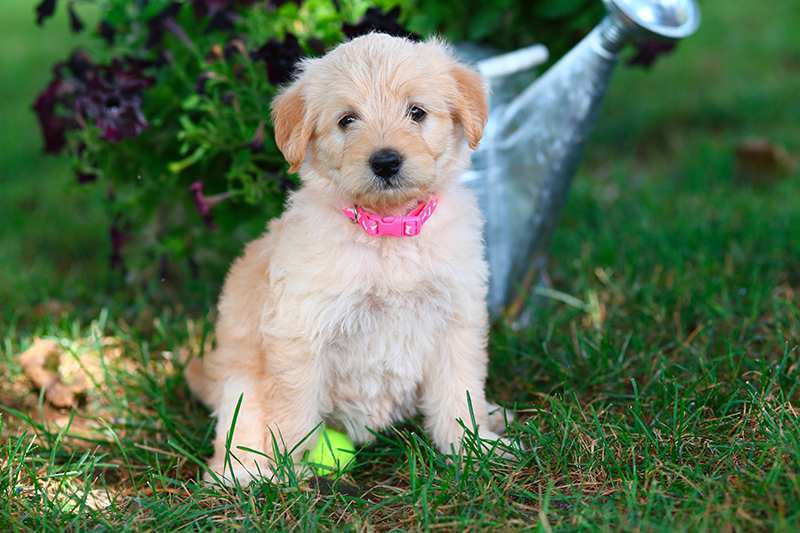 After the Second World War the Poodle became one of the most popular breeds with families in the United States.  The Miniature Poodle is the medium sized Poodle breed while the Toy Poodle is the smallest. 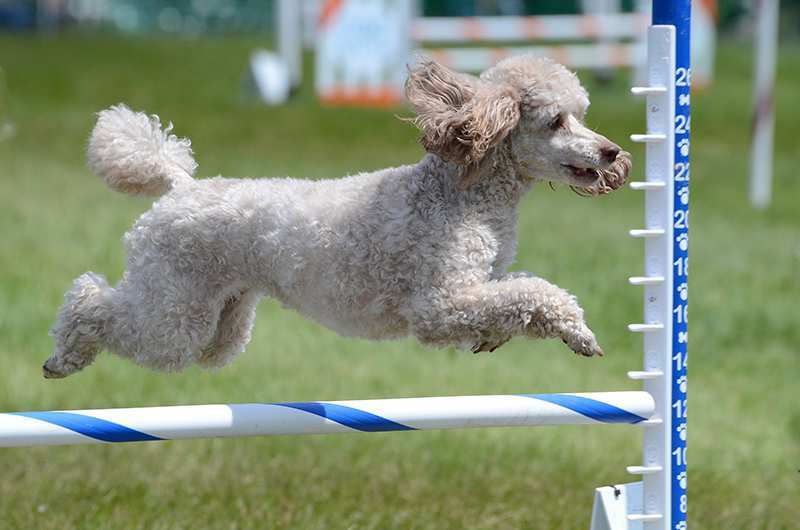 Miniature Poodles have high emotional sensitivity and they are known as one of the smartest dog breeds. Winston Churchill had two miniature poodles with the same name, i.e. Rufus I and Rufus II.